The robbery happened at 4:30 a.m. ET time yesterday morning. According to witnesses the gunman then took a taxi to the Terrible's Casino (which is quite near to the Rio on the Strip) and disappeared into the crowd. 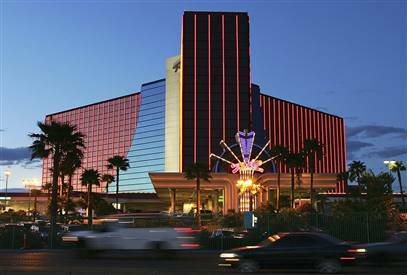 The growing number of casino heists is drawing ever more attention to the leaks of the security systems (if there is such) of the largest casinos in the United States. Employee security seems to be no issue for the casinos, security personnel won't stop an robbery and there's no obvious security measures that would prevent for example these 2 robberies. What is more, this little incident is troubling for the Rio Casino, where in only 3 months, the 42th WSOP is about to kick start. Will the players be unsure about security? I guess. Will there be a lot of chips at the tables? Sure. Anyone wanting to grab some and walk away unharmed? I bet.